The tailgate is locked or unlocked when all doors are locked or unlocked with the key, transmitter (or smart key) or central door lock switch. 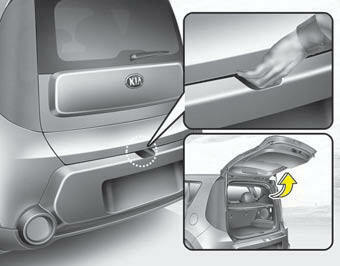 Only the tailgate is unlocked if the tailgate unlock button on the smart key is pressed (if equipped). Once the tailgate is opened and then closed, the tailgate is locked automatically.